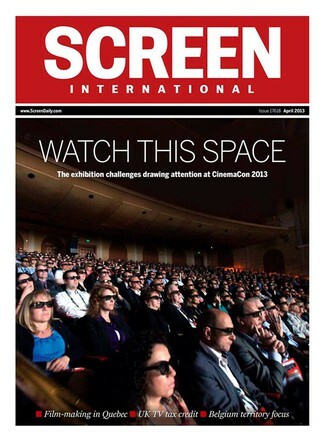 A subscription to Screen International Magazine is a must for anyone involved in the international film industry. Our readers rely on us for expert news analysis, insight and data. We delve into the stories behind the headlines, making us the essential read for everyone in the international film market. ScreenDaily.com - instant access to all the latest news, reviews and box office data to keep up to date with the latest developments in the industry wherever you are. Screen Weekly - all the content from your weekly magazine delivered to you in a detailed e-newsletter. Outlining the week's most important stories every Thursday, so you won't miss the news that shapes your industry. Screen International  our monthly magazine provides insight and market intelligence, and delivery deep analysis on the biggest issues that are facing the industry. Screen Base - our new online, interactive database provides key production and financing information for the top five European territories, making it easier to find funding and key creative partners. Screen International subscribers benefit from the industry's most knowledgeable source of news and analysis on the successful people, films and companies. You will receive all the news and film industry developments straight to your inbox.